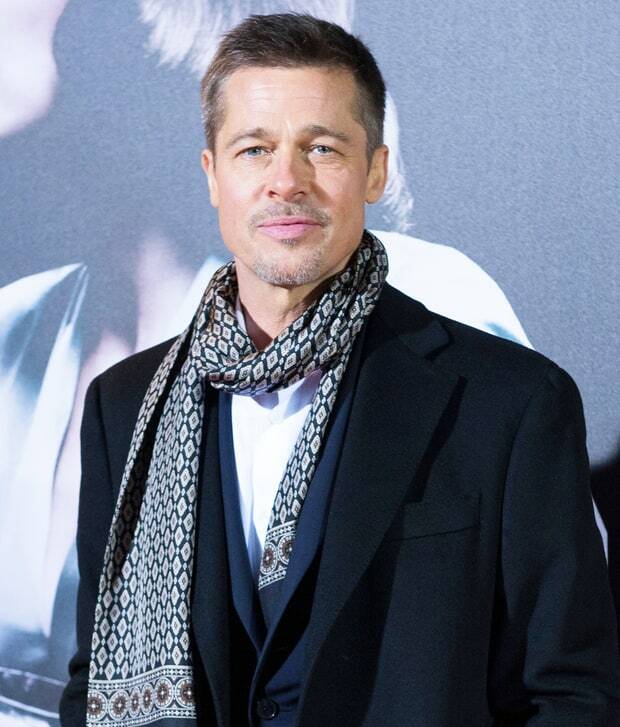 Brad Pitt spent Thanksgiving at an island resort amid ongoing custody drama with ex Angelina Jolie, Us Weekly can confirm. Ben McKenzie, Morena Baccarin Are Officially Engaged: See Her Ring! 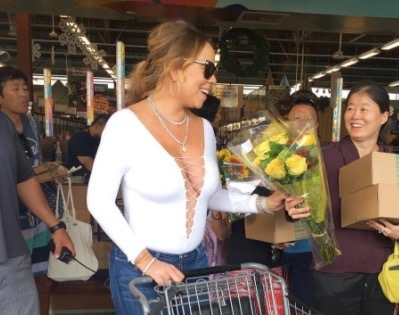 The Allied actor, 52, stayed at Amanyara in Turks and Caicos in one of the hotel’s private villas with a close male friend, a source tells Us. According to Page Six, which was first to report the news, villas at the upscale property are said to go for up to $34,000 per night. 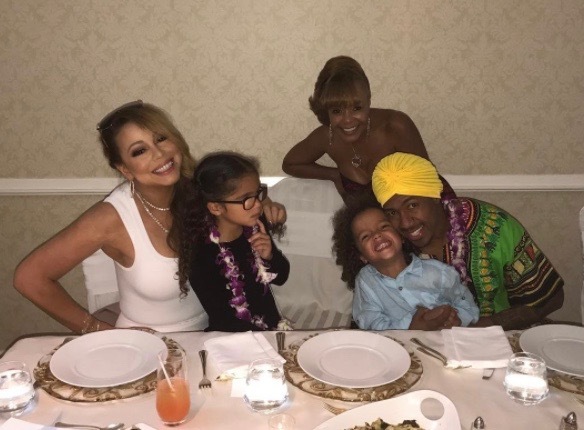 As Us Weekly previously reported, Pitt was not planning to spend Thanksgiving with his estranged wife and their children. “Angelina did not invite Brad to spend Thanksgiving with their kids,” a source told Us. After an Arizona grandmother accidentally invited a stranger to her Thanksgiving dinner and became an internet sensation, the two ended up eating together after all. 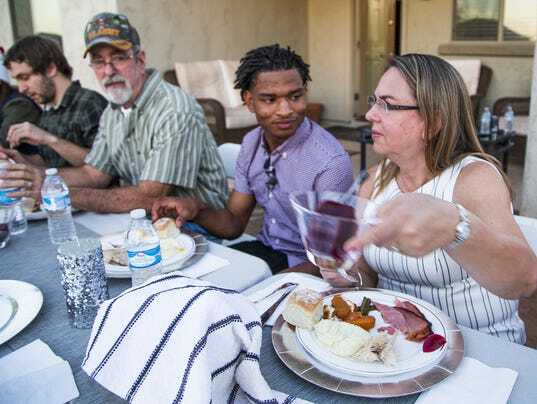 PHOENIX — It was a holiday story the Internet was quick to gobble up: A grandmother’s accidental text to a Phoenix teen that led to a stranger’s invitation to Thanksgiving dinner. Wanda Dench of Mesa had meant to send the Nov. 15 group message to a few family members, inviting them over for dinner. The text, meant for a grandson, was instead sent to Jamal Hinton, a 17-year-old from Phoenix. Hinton posted the screenshots of the conversation to Twitter, which was shared by his best friend and subsequently shared nearly 200,000 times. It seemed everyone was curious if the unlikely duo would spend the holiday together. Wanda and her family had been prepping all morning for the anticipation of their new guest. Waking up near dawn, Wanda put two turkeys back-to-back in her small oven so that there would be enough food to feed everyone. “You don’t do … horrible,” teased her grandson, Randall Burgoyne. This is the place to discuss the game all day with fellow fans. Updates here are infrequent, but are constant on the live blog during the game. Even in this shortest of turnarounds, there’s been no shortage of buildup for this game: The rivalry is back. This is even better than the 2012 Thanksgiving clash in Dallas. Kirk is the man. Dak is the man too, not Tony. These Cowboys resemble the ones from the ’90s. Don’t tell the Redskins what they can’t do. Both teams are coming in hot — Dallas winners of nine straight, with only a one-point season-opening loss, and Washington 6-1-1 since an 0-2 start. The teams met in Week 2 and the Redskins had Dallas on the ropes before an end-zone interception thrown by Cousins; Prescott then led his first game-winning drive. Kickoff: 4:30 p.m. ET at AT&T Stadium, Arlington, Tex. Radio: 980 AM; 92.7 and 94.3 FM. Disney’s “Moana” topped the Thanksgiving eve box office, picking up $15.7 million in its first full day of release, and leaving the competition in its wake. The animated adventure is tracking closely to “Frozen,” which picked up $15.2 million over the same holiday period in 2013, ultimately making $93.4 million over the five day festivities. “Moana,” which follows a girl in the Pacific islands who embarks on an oceanic journey to save her people, is on pace to debut to more than $80 million over the five-day Thanksgiving corridor. Disney didn’t release a budget for “Moana,” but most animated films from the studio run between $150 million to $200 million. Carla Hall’s Carmel Cake… Oh Yeah! With Thanksgiving right around the corner, one’s thoughts naturally turn to food. However, there’s food and then there’s FOOD! Carla Hall, chef extraordinaire, has many delicious recipes, but her Thanksgiving dessert carmel cake recipe deserves extra love. Award-winning social media agency Denizen took the Internet by storm, this past April, with the terrific bit of self-explanatory, “I wish I’d thought of that!” viral video wonder called Tiny Hamsters Eating Tiny Burritos. While there seems to be a push, each year and for many years now, to have the holiday season begin earlier than what’s appropriate, the fact remains that it isn’t Christmas-time — not officially, surely not in the hearts and minds of we here at PeekYou — until the Macy’s Thanksgiving Day Parade completes, and Santa Claus‘ sled/float arrives at the legendary department store’s doors.